The Ponds at Blue River are a group of condos and townhomes across Highway 9 - Blue River Parkway - from the 18-hole public golf course called the Ravens at Eagles Nest. 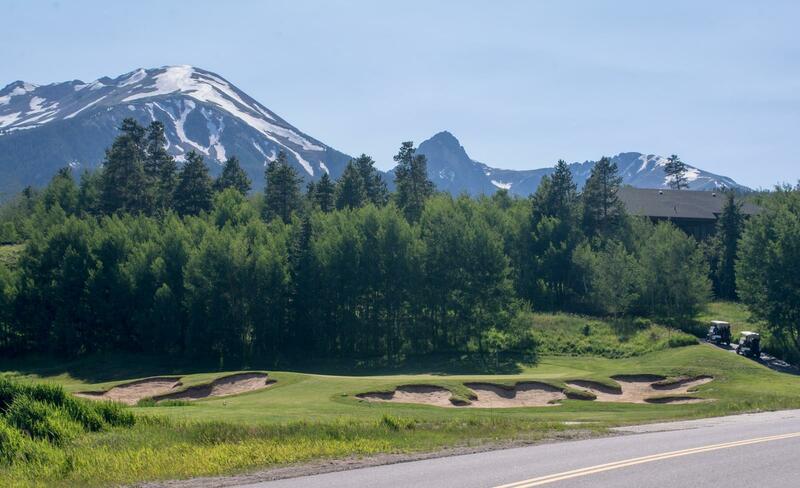 These homeowners enjoy sweeping views, and enjoy all the amenities of the Eagles Nest neighborhood as well as easy access to the golf course. The Blue River runs slowly through the Ponds, settling into ponds, and great fishing waters. 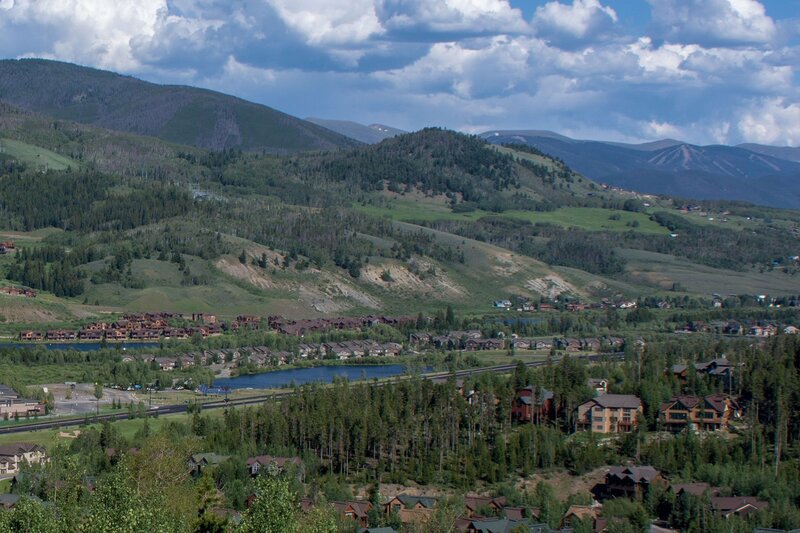 The Ponds are surrounded by small lakes created by the meandering Blue River north of Silverthorne, and are near the Colorado-declared Gold Medal fishing waters, of that river. Fly fisihing is great here, and the ponds allow for bait. As part of the Eagles Nest neighborhood, owners of a Ponds at Blue River home will be part of a strong HOA, and have access to all the amenities of the neighborhood:: golf, clubhouse, bike routes and hiking trails nearby. The Ponds are directly off Blue River Parkway (Hwy 9), so it's easy to get to any of the nearby trailheads into the Gore Range, Eagles Nest Wilderness and Ptarmigan Mountain. Square Footage: 1,701 to 2,415 sq. ft.
From I-70 drive north about 2.5 miles through Silverthorne to Bald Eagle Road, and turn right. Ponds at Blue River homes for sale will be found on Allegra Lane and Robin Drive.